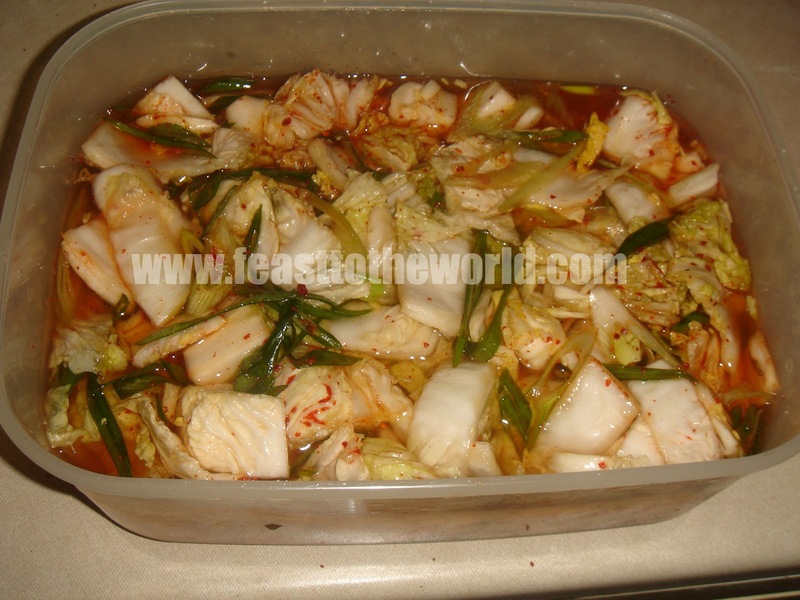 Anyhow, this is one of the pickles I've made - Kimchi. 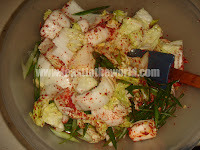 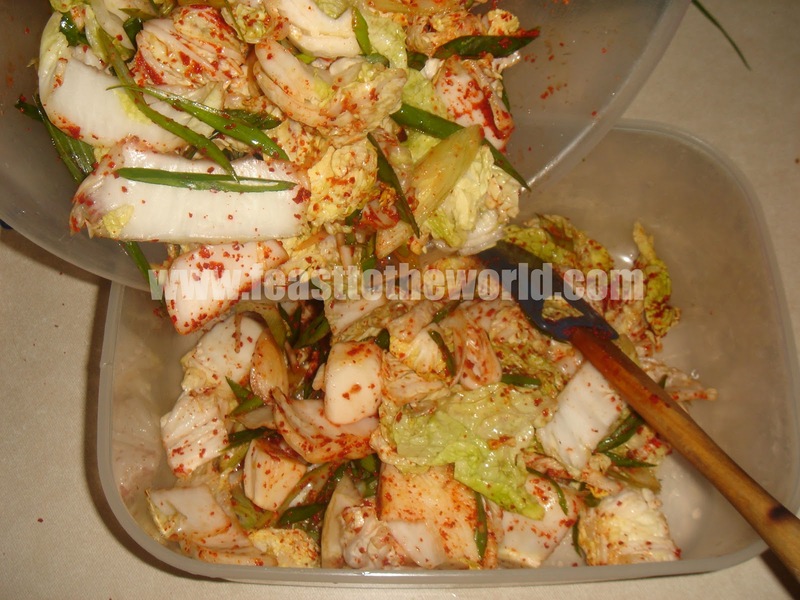 It is a super-spicy, crimson-red looking pickle and is one of the most indispensable condiment in a Korean household. 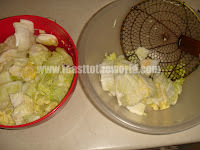 It is unthinkable to contemplate of having a proper meal without it. It is extremely versatile and can also be used to prepare a Korean Kimchi fried rice or added to noodle soup for a piquant kick. The main component of Kimchi is a humble cabbage, which is left to ferment in brine, along with garlic, ginger, Korean chili pepper - this is what give it the reddish colour- and along with some other ingredients. Contrary to what most people believe, it doesn't require any vinegar. 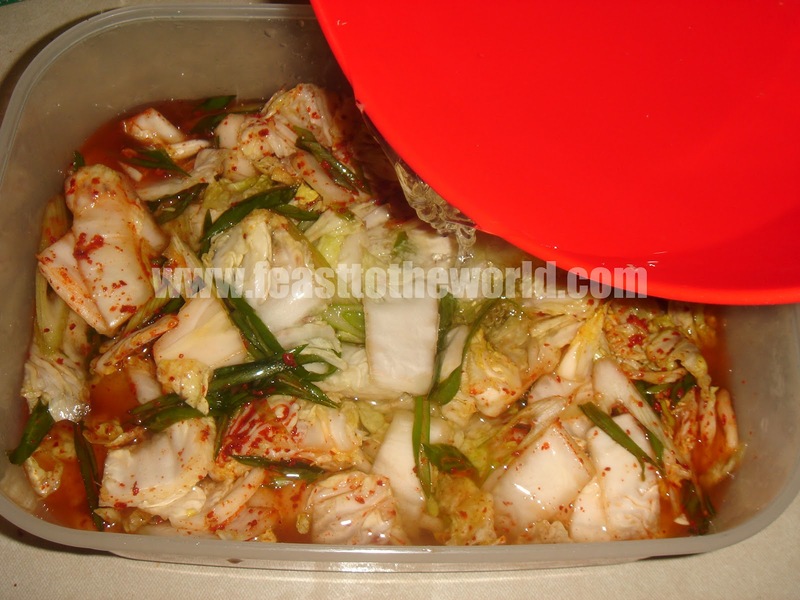 The sharpness of the Kimchi is due to the fermentation process that occurs while the vegetables are steeped in the brine. 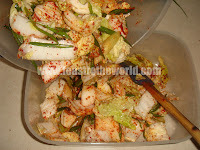 Traditionally, Korean will prepare a big batch of kimchi in a claypot and then buried in the garden. 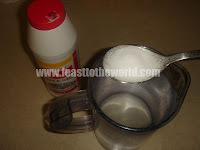 The reason for this is because of the 'exploding' effect that will sometime occurred. 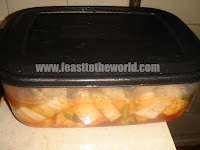 Gas is emitted during the fermentation and this pushes against the lid, causing the container to erupt, not really what you want to happen in your kitchen. It also helped to regulate the temperature at which the fermentation happens which can be too quickly if left at a high temperature. 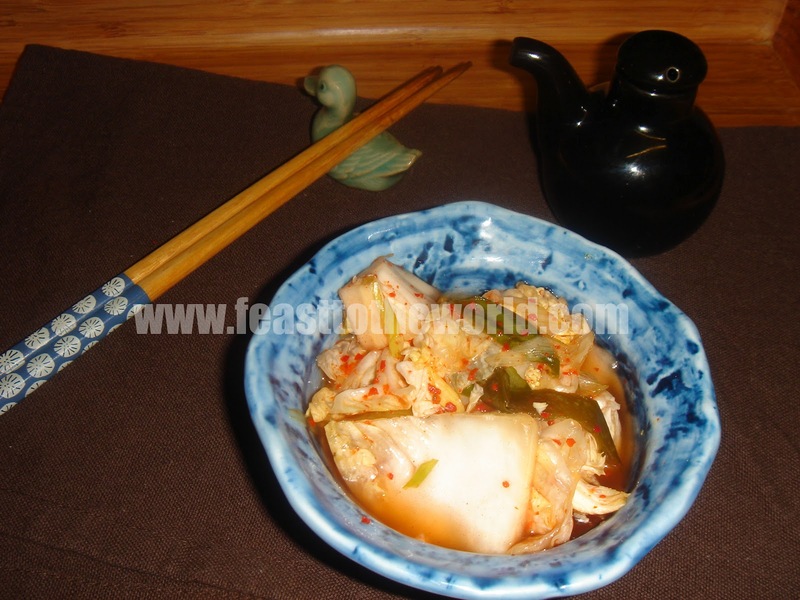 Once made, this delectable and sharp-tasting Kimchi can be store away in a dark place for a year, that is if it last that long. If you are a true kimchi fan like me, this will also certainly be gone before then. 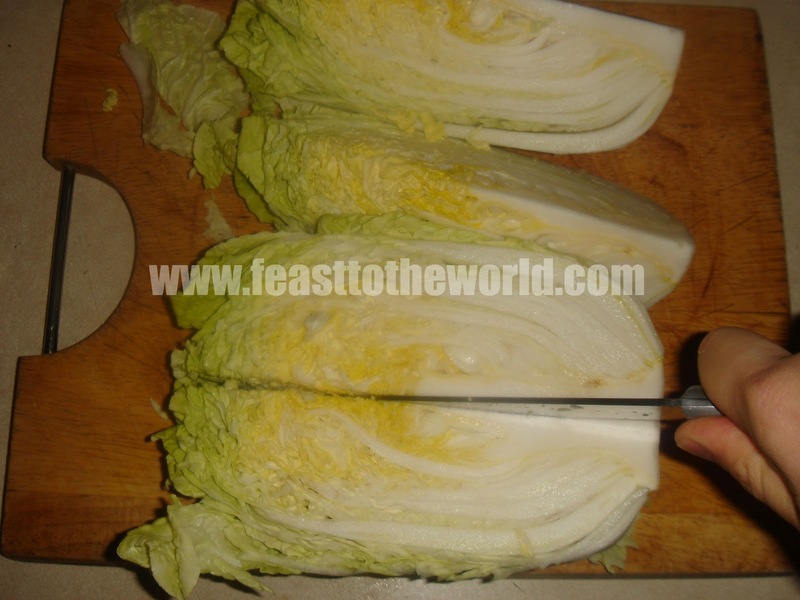 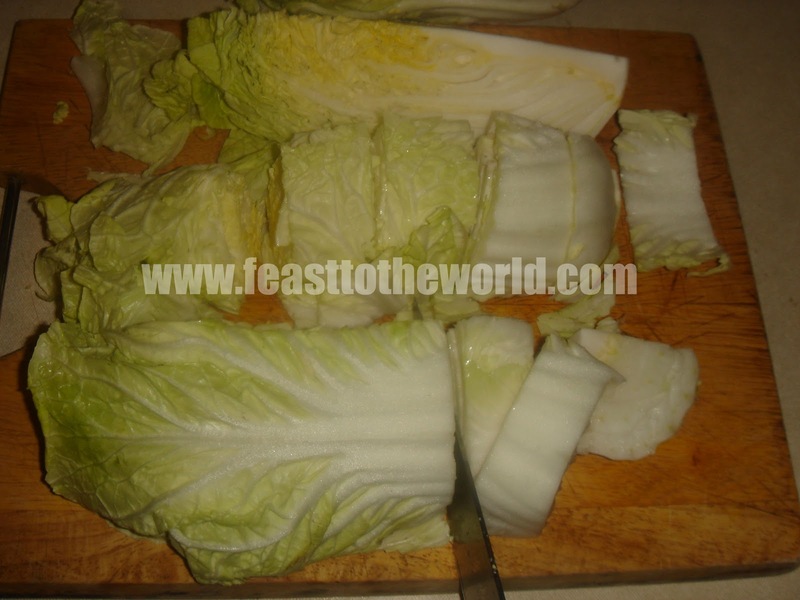 Cut the cabbage into quarters lengthways, then cut each quarters into 2-3cm pieces. Stir 4 tablespoons salt into 1 litre of water and mix until dissolved. 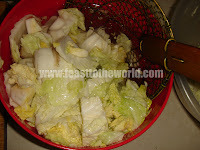 Put the cabbage in a large bowl and fill with enough salted water to submerge the cabbage. Weigh down with a heavy lid or plate to keep the cabbage completely submerged and leave overnight or 12 hours. 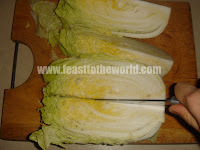 Remove the cabbage from the brine with a slotted spoon and reserve the brine. 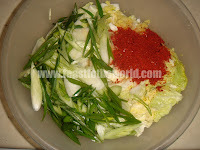 In a separate large bowl, mix the cabbage with with the rest of the ingredients thoroughly. 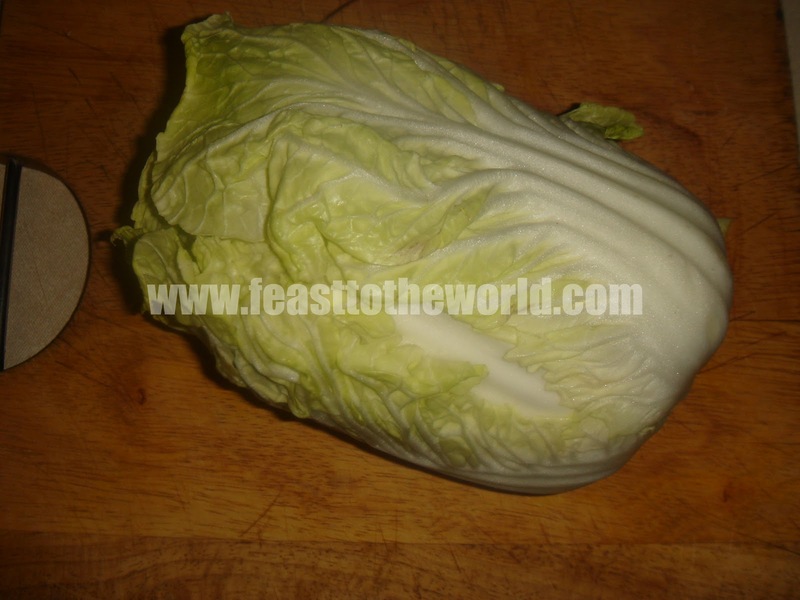 Pack the cabbage mixture into a clean, sterile jar or container (roughly 2 litres). 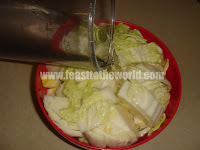 Pour enough of the brine to cover the cabbage. 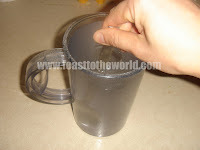 Leave about 2cm gap at the top of the jar. 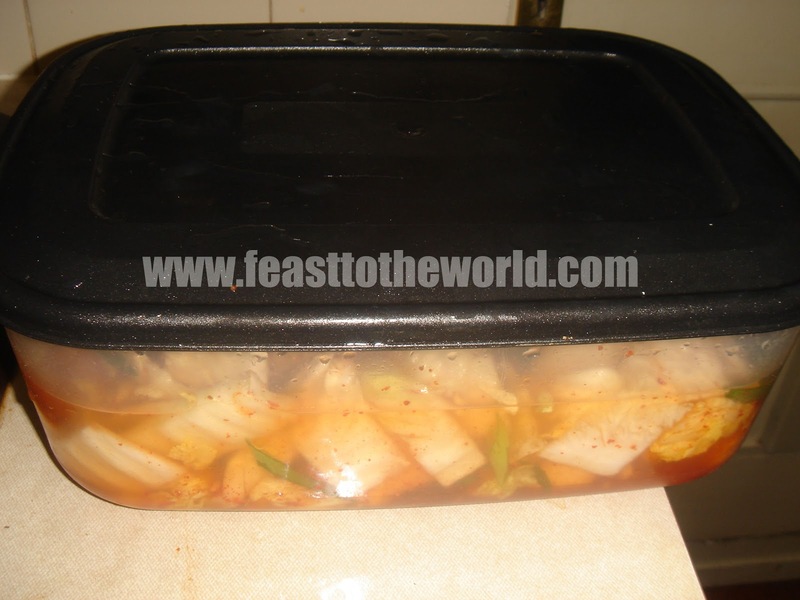 Cover with a non-metallic lid loosely and leave to pickle for 1-2 weeks, depending on how sharp you want the kimchi to be. These can then be stored away in a cool, dark place for up to a year. 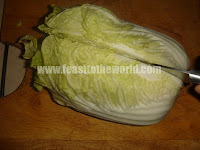 Just saved this to my recipe bookmarks. 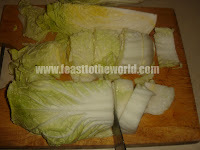 I have some cabbage I need to use, might well do that tomorrow.